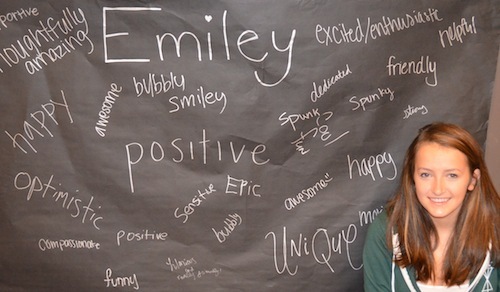 Thank you for helping me reach my fundraising goal! I have decided to spend my spring break in New Orleans rebuilding homes this upcoming April. We cannot help families move home without your support, your generosity is critical to my success and helps purchase building materials. I have reached my original goal, BUT there are MORE FAMILIES to help! PLEASE BE GENEROUS AND CLICK HERE TO DONATE TODAY! 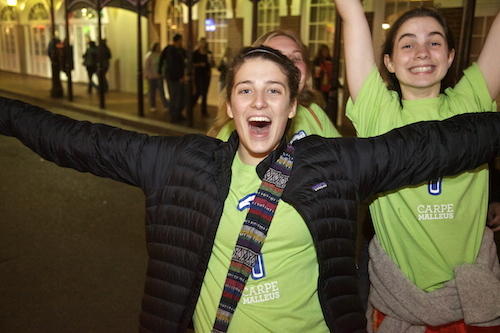 Here’s to a WONDERFUL experience in New Orleans! It’s going to be a life changer. Have a great trip, Serafina! Serafina, We are so proud of you! 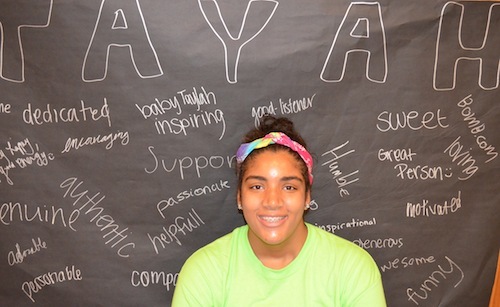 Community Service is what it is all about: you will learn a lot from this experience which will help to shape the kind of person you are becoming. Brandon, Sofia, Cecilia and Gianna W.
John, Carrie, Hannah, Bekah, Nick, Chris, Andrew, Joseph, Lucy and Gregory P.
Barbara, Anna and Johnny S.
The 2013 Christmas Classic hits SW Washington the weekend of December 7-8, 2013 and will take place at Mountain View High School in Vancouver, Washington. This community event will also benefit Evergreen School District, American Red Cross, Share House and PAL. The tournament will field 4th-8th grade boys teams and will showcase some of the top talent in each classification. Top Teams will participate throughout the weekend. Space is limited! If you wish to enter your team submit your team’s information today! You may request multiple teams to be entered into the tournament. Click on the registration links below. I have raised $25 of my $100 goal, please click here to donate today! The Eagles swarming defense kept Bethel in check. Federal Way standout Keenan Curran wraps up Braves RB JT Neigel. To close the evening, the Emerald City Kickoff Classic brought in the two best teams in Washington, a matchup between the 4A Skyline Spartans and the 3A Bellevue Wolverines. Bellevue has claimed the 3A state crown in 10 of the last 12 seasons, and hasn’t lost a game since 2010. Their last loss came to these Skyline Spartans. Coach Mat Taylor and the Spartans have raised the 4A state trophy in four of the last five seasons, and are looking to avenge their 2011 loss to the Wolverines. This game is not only for ‘Eastside’ bragging rights, but for state bragging rights, as both of these teams are looking to repeat in 2013. These series of games will be the second set of games in newly renovated Husky Stadium following the Husky opener last Saturday, Aug 31st, in the Dawg’s rout over Boise State. The Skyline – Bellevue game will kick off at 7pm, Saturday Sept 7th. Tickets are $15 at the door and $10 for seniors and students. Good luck to both of our defending state champions! The third matchup in the Emerald City Kickoff Classic will be a cross-state contest between the Bothell Cougars and Coeur d’Alene. Bothell was a state semifinal team in 2009 and a quarterfinal team in 2010. 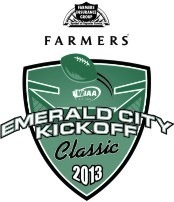 This is their third trip to the Emerald City Kickoff Classic. Coeur d’Alene is making their second trip to the Classic, coming off a win two years ago versus Moses Lake. Coeur d’Alene were the state runner-ups last year in Idaho’s largest classification (5A) and were the state champions in both 2010 and 2011. These series of games will be the second set of games in newly renovated Husky Stadium following the Husky opener last Saturday, Aug 31st, in the Dawg’s rout over Boise State. 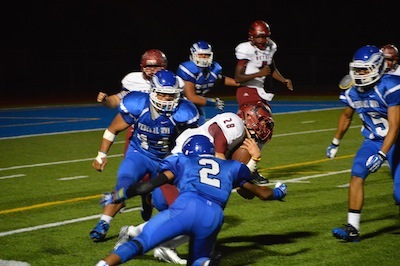 The Bothell – Coeur d’Alene game will kick off at 4pm, Saturday Sept 7th. Tickets are $15 at the door and $10 for seniors and students. This will be a tough matchup for the Bothell, who are going against one of the top teams in Idaho over the last few years. The second contest in the Emerald City Kickoff Classic will be between the defending 2A champions the Lynden Lions and the only team that took them down in the regular season in 2012, the King’s Knights. Lynden has dominated the 2A classification recently, winning five of the last seven state titles with head coach Curt Kramme at the helm. The Lions will be looking to avenge their only regular season defeat last year, which came to the 1A King’s Knights. King’s made a great run in 2012, reaching the state quarterfinals but losing to the eventual champion Montesano. These series of games in the Kickoff Classic will be the second set of games in newly renovated Husky Stadium following the Husky opener last Saturday, Aug 31st, in the Dawg’s rout over Boise State. The Lynden – King’s game will take place at 1pm, Saturday Sept 7th. Tickets are $15 at the door and $10 for seniors and students. This will be a great matchup between two teams looking to make a deep run in state in their respective classifications in 2013! In their fourth matchup of the season, with the season series 2-1 in favor of the Vikings, the Lakeside Lions and the Rainier Beach Vikings faced off for the third and most valuable championship of the season. Beach won the Metro title, Lakeside won the district title, and this one was for all the marbles, lifting the state championship trophy in the Tacoma Dome. Beach scored the first four points of the game, but Lakeside answered with a quick 7-0 run, sparked by five points from junior D’Marques Tyson. The remainder of the quarter was played close; these two teams are so familiar with each other it would be tough to expect big runs from either team. Elijah Foster for the Vikings had the quarter high with eight, and Beach took a 16-14 lead into the second. The Vikings began the second with a 7-0 run, increasing the speed in the contest and capitalizing on costly Lakeside turnovers. Star Shaqquan Aaron for the Vikings heated up in the quarter, knocking down two three pointers to lead the Vikings to a 32-26 half. Beach scored the first five points in the third but Lakeside quickly responded with an 11-0 run to tie the gamenbehind six points from senior Matthew Poplawski, his first points of the contest. The teams exchanged baskets to end the quarter with Beach taking a one point lead into the fourth. Lakeside took an early lead in the fourth, but Elijah Foster came up big again for the Vikings scoring four straight to put Beach up one with 3:18 remaining. Tyson answered with a three with three minutes remaining to put Lakeside up two, and Poplawski added a layup to go up four with two minutes on the clock. A pair of free-throws by Naim Ladd from Beach trimmed Lakeside’s lead to just two, but Isabell responded for the Lions with a dribble drive layup with 1:08 on the clock to extend the lead to four, 56-52. Will Dorsey for the Vikings scored the next four points in the contest, knocking down two free throws and finishing on a spectacular layup to tie the game with 5.6 remaining. Isabell caught the ensuing inbounds pass and drove right down the middle of the floor and was fouled but missed the front end with 1.6 remaining, sending the game to overtime. Dorsey added four points in the overtime and Lakeside continued to struggle from the line, which came down to the difference in this game. Lakeside shot just 9/16 from the line in the game to Beach’s 18/24, and Beach pulled out the win, 62-59 in overtime. Congratulations to the back to back champions! With electric crowds from both schools present, the undefeated Jackson Timberwolves took on the Curtis Vikings for the 4A boys state title. Curtis started strong, forcing three early turnovers and turning those into transition baskets to begin the contest on an 11-4 run. With nine first quarter points from junior Brian Zehr, Jackson was able to trim the Curtis lead to two points after the first. Curtis jumped out to a 21-11 lead in the second, stemmed by an 8-0 run to start the quarter. Five Vikings scored in the quarter to extend their lead to 32-19 at half. Jackson needed a run early in the third and the Timberwolves responded. Jackson was able to trim the lead to six points in the middle of the quarter and closed the quarter down nine, 42-33. With a comfortable nine point lead, the Vikings began to slow their pace of play and exhaust more time. This turned out to be counterproductive for the Vikings, as Jackson came out on an 11-2 run in the fourth, and eventually took a two point lead in the quarter. But Andre Lewis and Isom Brown would not back down for the Vikings, scoring 11 points as a pair in the fourth and extending the Curtis lead to three. The Timberwolves had a chance with eight seconds left to tie the game with a three, but couldn’t secure the ball and turned it over to the Vikings, who sealed the contest with a free-throw. Congratulations to Curtis who held on for an amazing win! 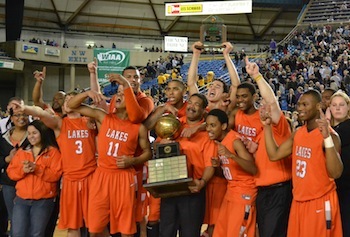 theFinalScore.TV will be at the Tacoma Dome covering the 3A and 4A State Tournaments LIVE Saturday beginning at 2pm. Our team will bring you all the action and will talk to community leaders from each of the high schools participating in the 3A and 4A State Tournaments. This is your guide to our coverage. Tune into the theFinalScore.TV’s LIVE video feed from the T-Dome throughout the day. We’ll have game updates, recaps, interviews and much more. Simply click below to watch now!